Many developers are working hard to enhance macOS’ productivity, but it’s rare to see apps that focus on basic needs. Take video players for example, the good-looking ones always have fewer features and ugly ones always work well. Until the birth of IINA, a free and open source app, proves that you can have your cake and eat it. On the last day of 2018, IINA finally got its first official release after nearly two years of public testing. Let’s take a quick look at what has changed over this article. In macOS Mojave, Apple added native dark mode. IINA, written entirely by Swift, naturally won’t ignore this, it provides both bright/dark modes and switches automatically according to the settings of system. You can also customize the location of the playback control bar and the buttons shown on the toolbar to make IINA fit your operating habits. Besides playing videos, IINA is also a beautiful and powerful music player. IINA offers both full-window and mini-window views, and you can choose whether to show album covers and control progress with notification center widgets. IINA also includes support for Bluetooth earbuds such as AirPods that allow you to enjoy music without touching your computer. In addition, the preference setting interface has been redesigned to be more intuitive and all the options can be clearly seen at a glance. Everyone can use it without any difficulty. The inner side of IINA is also evolved. In the 1.0.0 release, IINA encapsulates the latest versions of MPV 0.29.1, FFmpeg 4.0.1 and youtube-dl to make video rendering more efficient. When playing video, you can achieve real-time cutting, rotation, speed adjustment and other functions. In the new version, IINA added rich video and audio filters, including sharpen, blur, negative, 3D LUT and so on. You can also add a set of filters as templates to be called directly from the shortcut keys the next time you play. Another useful feature of the new version is online subtitle search. If the video you are playing has no subtitle, IINA can automatically download a subtitle from OpenSubtitles.org or Assrt.net without the hassle. In order to do not take up system shortcuts, IINA added the “Edit” menu, and redesigned the shortcuts (example: “⌘ Command – C” changes to “⇧ Shift – ⌘ Command – C”). You can also choose the most familiar shortcut from several presets, or fully customize it. 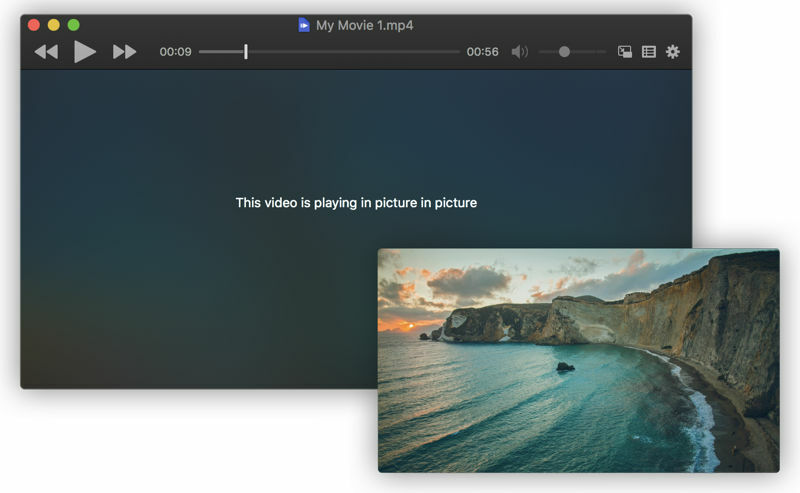 With the built-in youtube-dl module, IINA allows you to open online video directly, or you can use Chrome or Firefox extensions to send web pages directly to IINA to play. The new version also added support for the command line, you just need to open a terminal, perform “ln -s/Applications/IINA app/Contents/MacOS/iina – cli/usr/local/bin/iina” command. 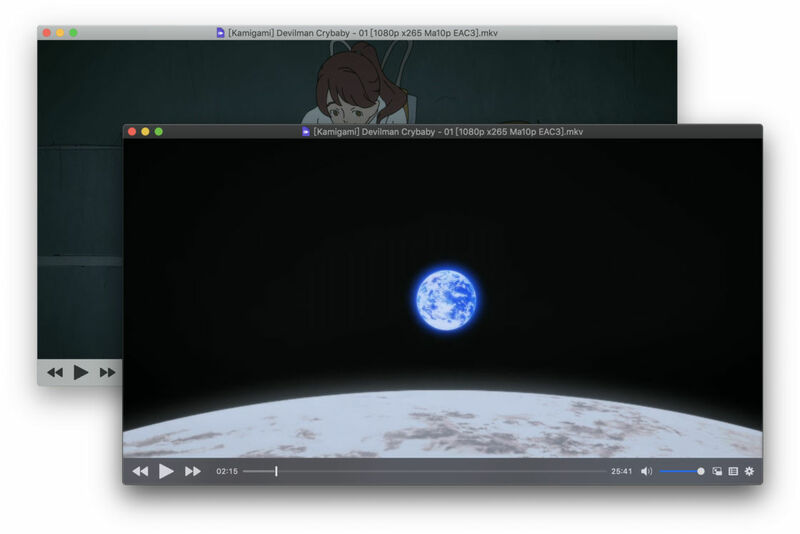 For example, iina — pip can open a video file in picture-in-picture mode. You can view all the optional commands through iina — help. You can download the latest version on IINA’s website or GitHub, or use brew cask install IINA with HomeBrew command.